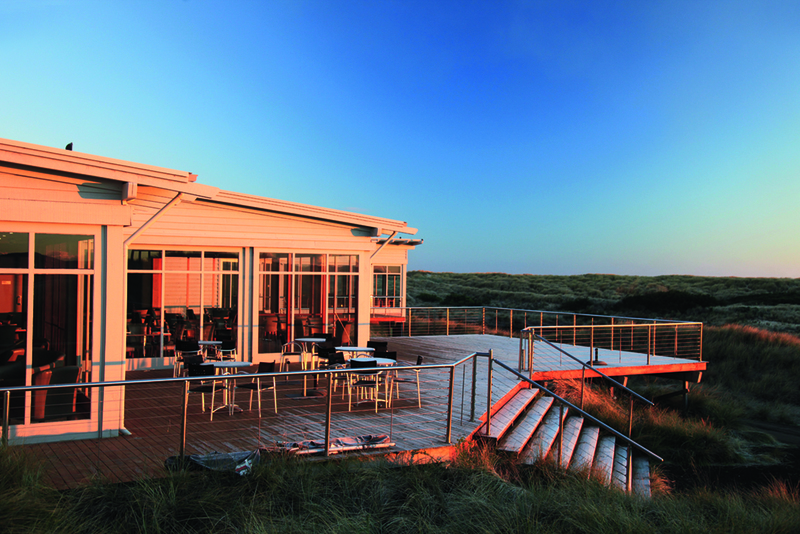 Barnbougle Dunes was once a chunk of non-arable dune-side ‘links’ land owned by Angus cattle breeder and potato farmer Richard Sattler. An hour’s drive northwest of Launceston, it’s now a storied piece of golfing real estate: windswept dunes, rolling basins and bowls, multi-tiered greens, plenty of theatre, adventure, fun. The course that Sattler built here, Barnbougle Lost Farm, has chutes, fairways like polo fields, bunkers like chasms, greens like amoebae. It’s polished by wind and carved from the Marram grass. And the 270-degree views of Bass Strait and the golf course from its brilliant restaurant – try the scallops, oysters and rib-eye steak – are jaw-dropping.Ocean views and outstanding golf are no less in evidence on King Island’s Cape Wickham – which was slotted straight into Australia’s number three and world number 24 by Golf Digest – and Ocean Dunes, which opened in September 2016.These latter two courses make superb use of the ocean, the shores and the greater topography, with crescent-shaped holes curling around beaches and bays. 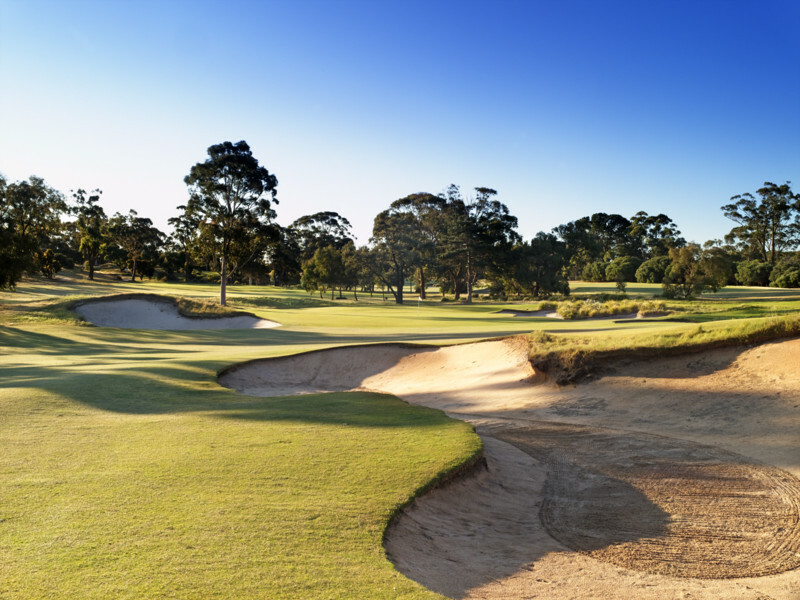 Melbourne’s Sandbelt holds the greatest concentration of world-class golf courses on the planet. Within 30 minutes’ drive of Melbourne’s CBD lie Victoria, Royal Melbourne (host of the Presidents Cup), Kingston Heath (host of the World Cup), Metropolitan, Commonwealth, Huntingdale, Yarra Yarra, Woodlands and Peninsula.The famous course architect Dr Alister MacKenzie (1870-1934; architect of Augusta National) had a hand in many. Tiger Woods said the Sandbelt was his “favourite place to play golf”. “The bunkering is just phenomenal,” said Woods. “You don’t get to see bunkering like this in any other place in the world.” Woods described Kingston Heath as “an unbelievable golf course”. Adam Scott says he “could play Kingston Heath every day for the rest of my life”.To play the Heath or any of the above-mentioned Sandbelters, one should stay at Victoria Golf Club, which has 15 comfortable, stately guest rooms. As a guest, you’ll enjoy the same privileges as the club captain. Thus you may play the course, drink from a tankard that belonged to former premier Henry Bolte, and dress in dinner jacket to enjoy a three-course meal.Perhaps best of all, while a guest of Victoria GC you will share reciprocal membership with other Sandbelt golf courses. So there’s no excuse to not play them all. No other course in Australia, nor perhaps the world, pays such homage to the famous Augusta National as Bonville, six hours’ drive north of Sydney. 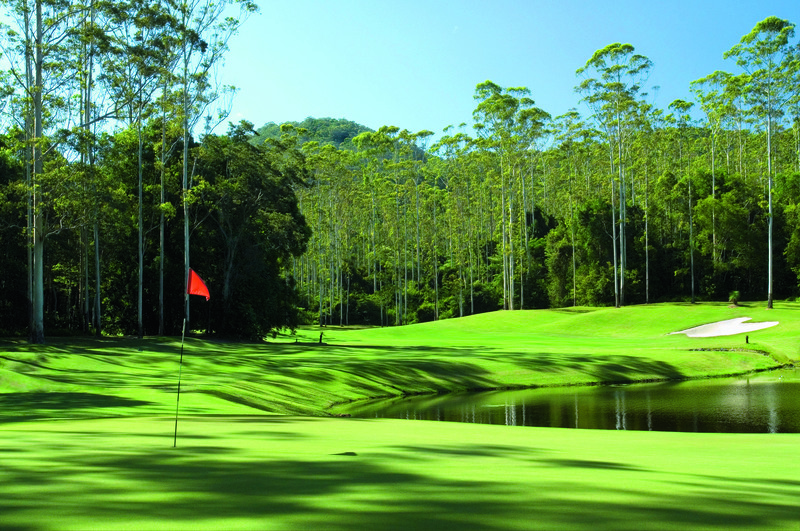 With glorious, long white eucalypts called ‘flooded gums’ and a subtropical feel, Bonville is not without its challenges and your ball may find its way into sclerophyll forest a time or two. But it is two things: super-fun to play; and beautiful. It’s like playing golf in a rainforest, which it is. It’s like someone tried to carve Augusta National out of the NSW Coffs Coast hinterland, which they did. Its restaurant, Flooded Gums, shares chefs with Jonah’s (overlooking Sydney’s Whale Beach) and thus has its menu been awarded ‘hats’ from various good food guides and ‘glasses’ from gourmet magazines for its wine list. Accommodation is on-site. Tom Doak is the enfant terrible of golf course design, borrowing heavily from Dr Alister MacKenzie to create the planet’s most photogenic golf courses. 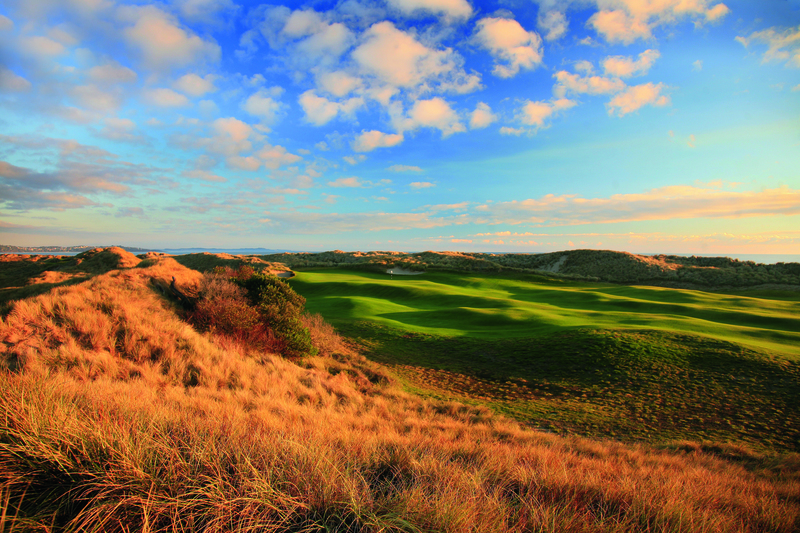 The 57-year-old American’s masterpiece – Tara Iti – could be his most stunning yet. Though it’s full of sand, there are no bunkers. The greens are made from the same tight fescue as the fairways – they’re just mown shorter. The fairways are undulating and wide. It was once a pine forest. Now it’s equal parts fescue, sand and spinifex. In fact, Tara Iti might just be the most beautiful landscape you’ve ever seen.As with many Doak designs, the best approach depends on where you place your ball. Certainly Mr MacKenzie would approve. As he would the views: out to sea, on the course, from tee-to-fairway-to-tight-mown-green.Tara Iti is highly exclusive, borrowing from the United States model of equity membership. Yet there’s a limited number of one-time tee-times for which non-members may apply, conditional on their staying in the on-site, luxury accommodations. This is a great town: superb restaurants, funky bars, a cool, almost ‘European’ feel. Queenstown is a snow-lover’s winter wonderland, a Mecca for adventurers and a golf tourist’s dream.The most photogenic golf course is Jack’s Point, the John Darby design framed by the craggy, snow-capped Remarkables, on super-blue Lake Wakatipu. It offers golfers views they will never forget (and will photograph and keep in scrapbooks). The Hills, co-host of the New Zealand Open, is owned by jeweller Michael Hill and is dotted with sculptures of hungry wolves, massive horses and a weta, the huge local grasshopper. Set in a glacial valley, The Hills is all rocky outcrops and elevations, with sand and grass and waterways, and stunning vistas.The NZ Open’s other host is Sir Bob Charles’ Millbrook, voted the best golf resort in Oceania at the 2016 World Luxury Hotel Awards and World Golf Awards. 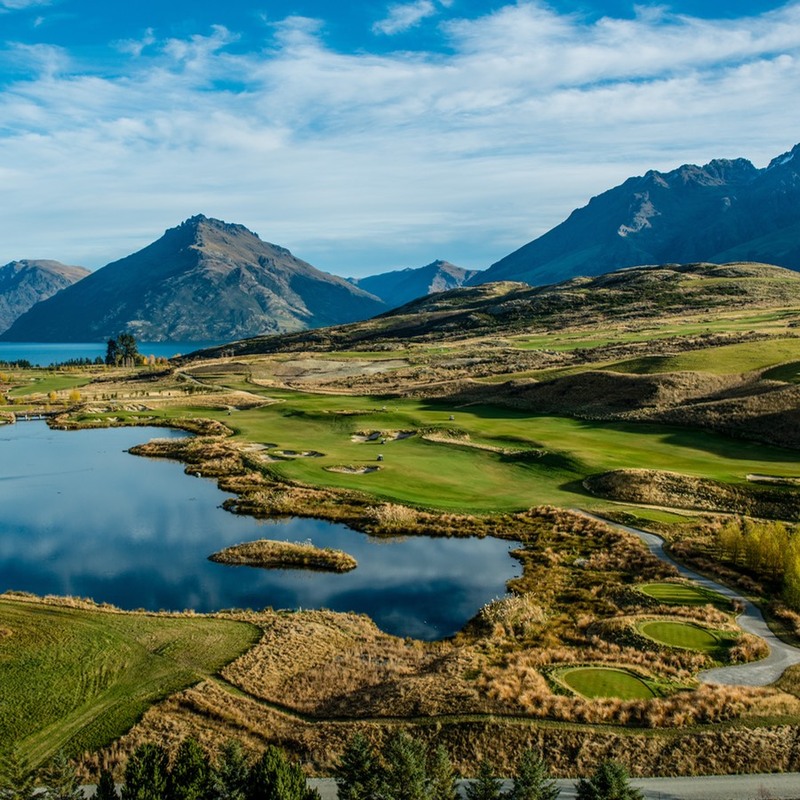 Today, its 27 holes are a mixture of ‘parkland’ and ‘links’ styles, set against the dramatic alpine amphitheatre of the Remarkables and New Zealand’s greater Lord of the Rings set. 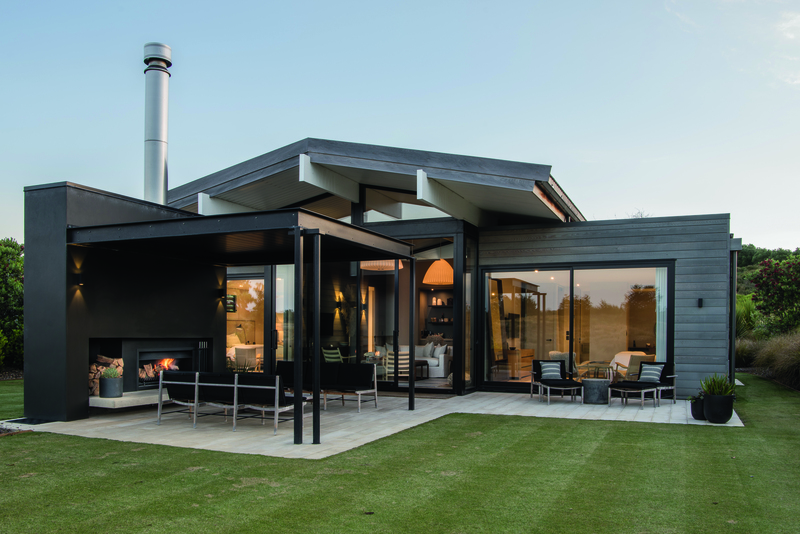 The websites of Cape Kidnappers and its sister course, Kauri Cliffs, don’t do justice to the majesty of their settings – but they have an almighty good try. Drone camera technology enables visitors to enjoy almost ethereal views of these mega-courses.If you’re a golfer, chances are you’ve seen Kidnappers’ long ‘fingers’ of land that jut into the Pacific. The mighty gorges, the chalky cliffs, the contrasting greens, browns and blue seas. Like Kauri, it looks forbidding, enticing and beautiful all at the same time. From the air, they look like golf heaven.Players can arrive at both courses via the owners’ E130 helicopter, direct from Auckland Airport. It whisks passengers between courses, over the stunning Bay of Islands, across the Coromandel Peninsula, the beaches of Tauranga and the vineyards of Hawkes Bay, in a flight that takes a little under three hours. The ‘lodges’ on both sites are world class. Flying between them is like going from heaven to nirvana. 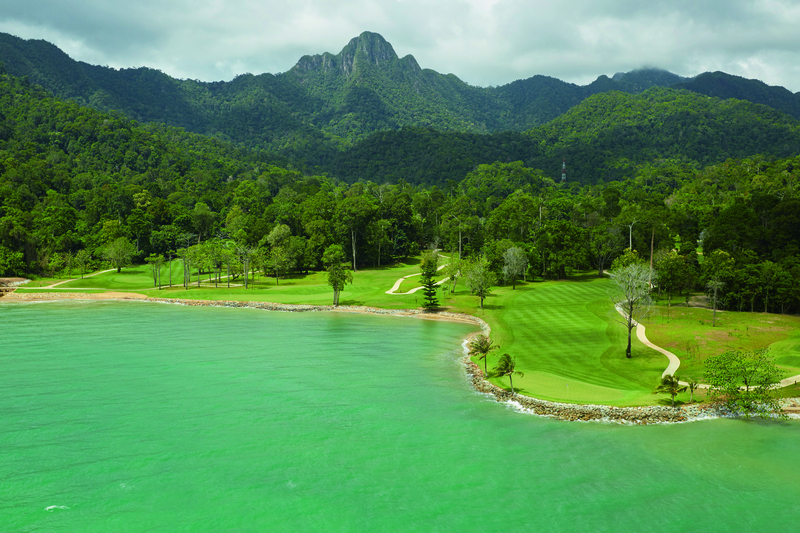 Langkawi Island, a short flight from Kuala Lumpur, is filled with monkeys, monitor lizards, Greater Racket-tailed Drongos, and eagles that soar and dive for fish. There are thousands of species of birds and butterflies. It’s like a scene from Avatar.Set among the rainforest is Ernie Els’ Els Club. 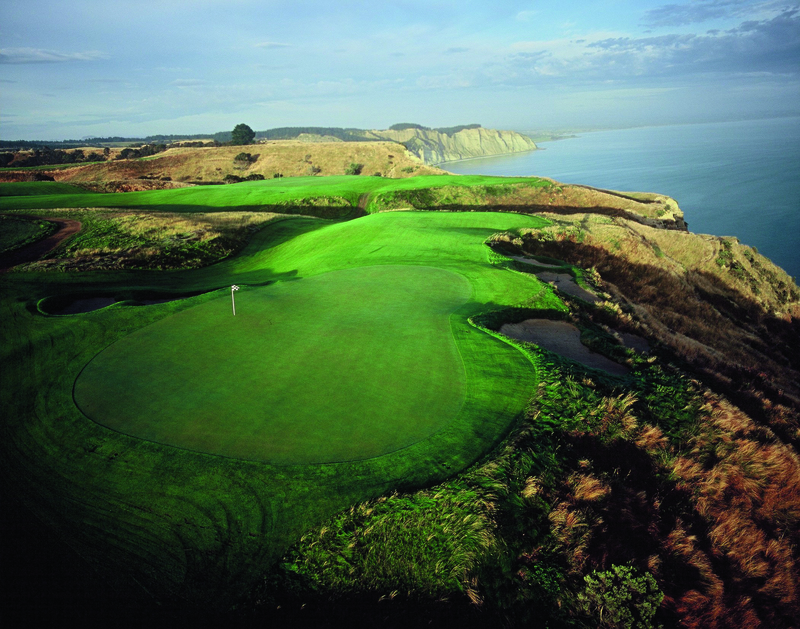 Wide fairways, a cathedral feel and holes routed upwards through the bush and downwards to the coast. Most holes have a view of knife-shaped Mount Mat Cincang. Many are tree-lined corridors. The course doesn’t have a ‘signature’ hole, per se, because they’re all quite unique. Double-greens on the water. Crystal streaming across fairways. Five of the holes buffet the Andaman Sea.The Beach Villas of The Datai are appropriately luxurious, each with a private garden, direct access to the beach, a 10-metre private swimming pool with sundeck, indoor and open-air rain showers and more.A must-do is a sunset sail on the Naga Pelangi with champagne and scallop canapés. Watch the red sun slowly sink through the heat haze with fellow guests from many lands, hosted by a charming German couple, Christoph and Ulrike Swoboda, who built the junk and sail it, and live many dreams. 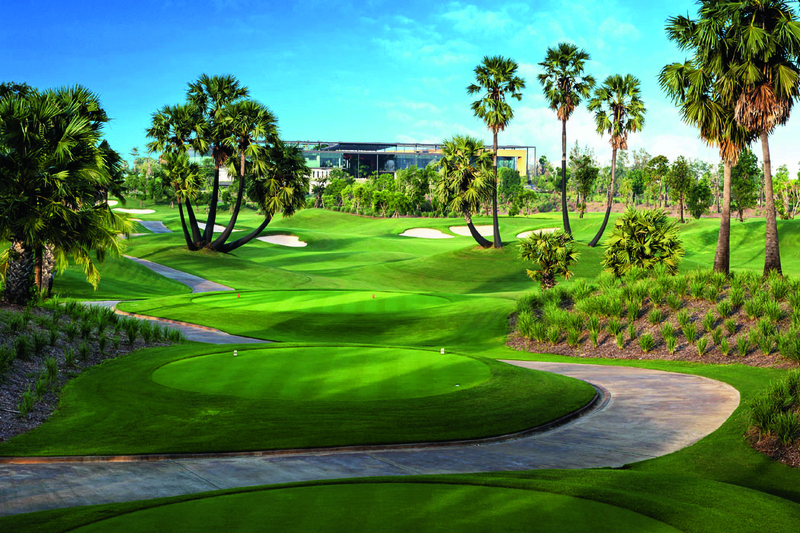 There are dozens of golf courses on Hainan Island, including 10 under the famous Mission Hills banner. Elsewhere, there’s The Dunes at Shenzhou Peninsula, a gently undulating, seaside, 36-hole ‘links’-style course designed by US Open champion Tom Weiskopf. There’s Jian Lake Blue Bay, also by the seaside: tropical feel, coconut trees, sand dunes, red-sandpot bunkers with riveted timber faces, native grasses, flowering bougainvillea, volcanic stone walls and fast paspalum fairways and greens.But the best on the island – and the best in China, according to Golf Digest – is Shanqin Bay, a former pineapple plantation bordered on three sides by the South China Sea. Designed by Bill Coore and Ben Crenshaw (of Lost Farm fame), it’s an interesting mix of long-bomb par-5s, driveable par-4s and scenic par-3s by the beach. Holes run in all directions: upwards to the rocky bluffs, across escarpment, downwards to the coast. There are sand dunes, canyons, wind and water. It’s the best course in China. It (reportedly) only has 20 members. To join costs US$1 million. And that might just be the last word.